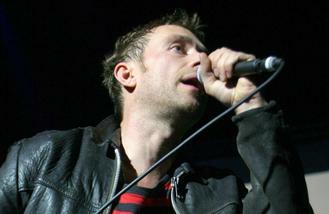 The virtual band - created by Blur frontman Damon Albarn and comic book artist Jamie Hewlett - have already released the anti-Donald Trump song 'Halleluljah Money' from the new record, but according to a list of tracks, which were found on the Phonographic Performance Limited website, a hasitleaked user has a list of collaborators listed in chronological order including Vince Staples, De La Soul, Rag'n'Bone Man, Savages' Jehnny Beth and Grace Jones. The list would make sense as it was previously revealed that Posdnuos of hip-hop trio De La Soul - also comprised of Dave and Maseo - has recorded a track for the hotly-anticipated LP. Pos previously revealed: "Collaborations come when we feel we've got something that would be a great match for an artist. With Damon, it was easy because we love working with him. We're about to be on the new Gorillaz album." The 47-year-old rapper also said Snoop Dogg has also done a song with them and the virtual band. He added: "Snoop was also performing on the record when we were over there. He pulled us to one side and said 'Hey man, we never performed together. Can we get this going?'" Damon, 48, has been working on the follow-up to 2011's 'The Fall' since September 2015, and recently revealed that the album should be ready later in the year. He previously said: "Later in the year we'll be starting to get the whole Gorillaz thing together. I'm loving it and it's getting there. It should be ready fairly soon." The virtual band was conceived by Damon and visual artist Jamie in 1998, but none of the personas are reflective of the real life musicians involved in the project. Meanwhile, the group are gearing up for their UK live comeback with their own festival in Margate, Kent. will take to the stage to headline their very own festival at Margate's amusement park Dreamland on June 10, marking the group's first live performance since 2011. The festival - entitled Demon Dayz in a nod to their second album 'Demon Days' which was released in 2005 - so far only lists the 'Clint Eastwood' hitmakers on the bill, but a full line-up is yet to be released.